Choose an image and write 30 words about it. No more. No less. 30 Word Thursday is the brainchild of Erin Prais-Hintz of Tesori Trovati. To find links to other 30 Word Thursday posts, head over to Erin’s blog. This entry was posted in Jewelry and tagged 30 Word Thursday, color, Erin Prais-Hintz, fashion, flower, jewelry, Linda Landig, Orchid, Pantone, Pantone Clor Institute, photography, poem, poetry, Radiant Orchid, Treasures Found by Linda Landig. Bookmark the permalink. 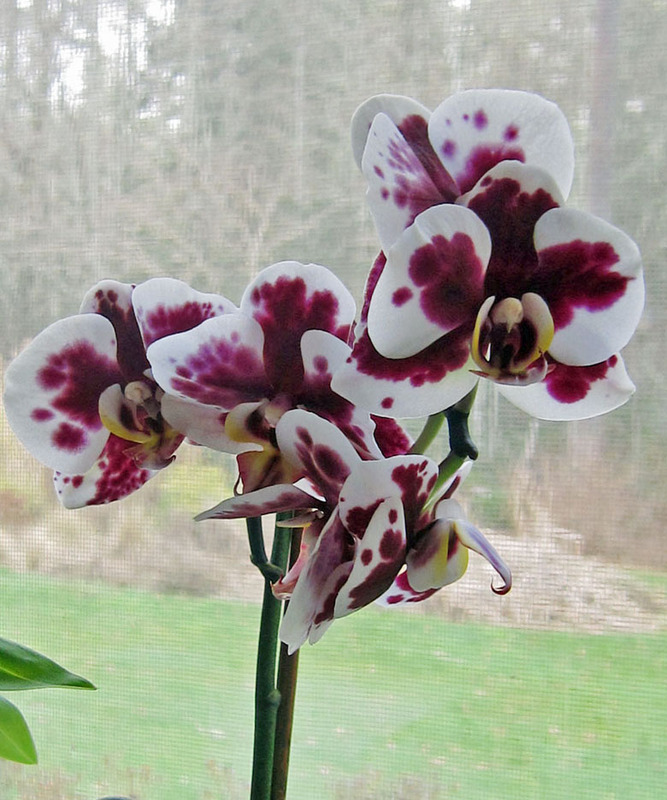 Your orchid is way more beautiful than Pantone’s (Insipid imo) colour choice. Just because they called it radiant doesn’t mean it is radiant lol. I dislike their color choice this year too. LOL! I wish I could keep orchids alive. . .or any plant for that matter. I’ve never tried sprouting lemon seeds. That’s cool. Unfortunately we do a good job with potato eyes too – an onion and garlic sprouts as well. lol! I love it, Linda! I like your version oh so much better than Pantone’s! Yes, radiant orchid. I like YOUR radiant orchid much better than Pantone’s displays! Your orchid is beautiful!! You were way ahead of Pantone! Lovely photo of your orchid. I am envious of those with a talent for growing things, especially orchids. What a gorgeous orchid. Mother nature sure knows how to decorate! Your original poem really struck a chord with me. The entire Pantone system has me befuddled. I always loved all shades of purple and fuchsia. So true! Pantone asks a panel of artists and designers to come up with the “It” color and everyone falls in line. I think knowing the Pantone report is kind of like having a secret decoder ring.